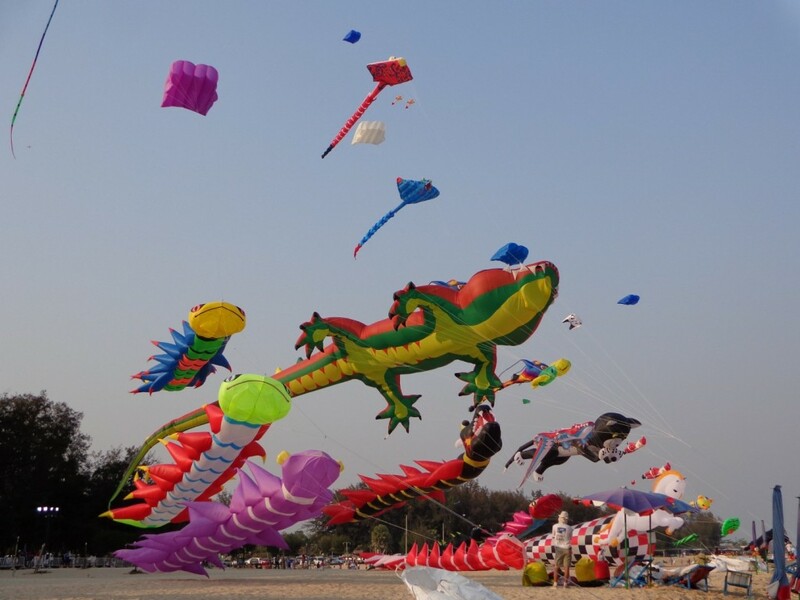 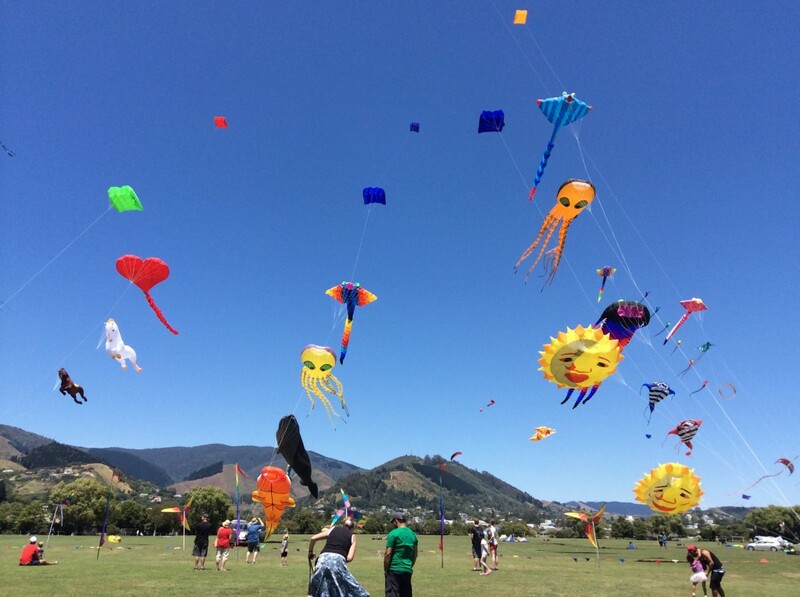 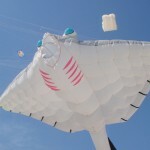 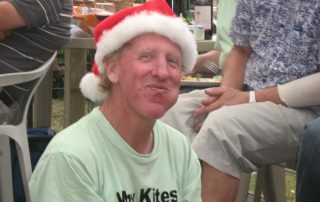 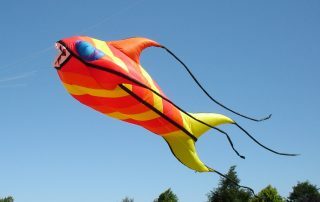 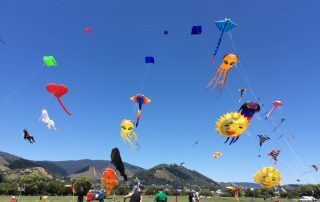 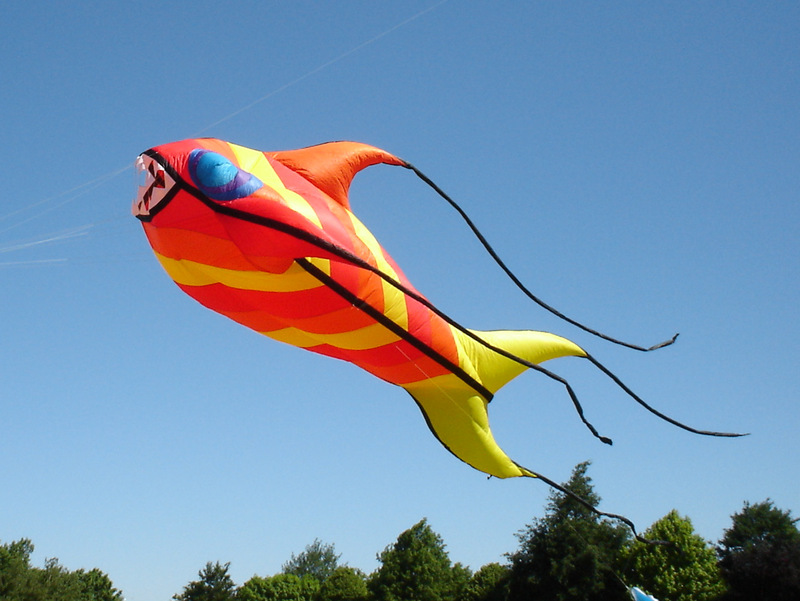 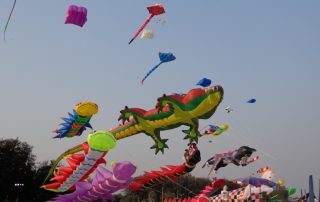 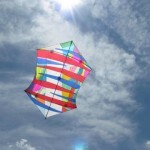 News, events, new products and anything else news worthy in the kite-flying world. 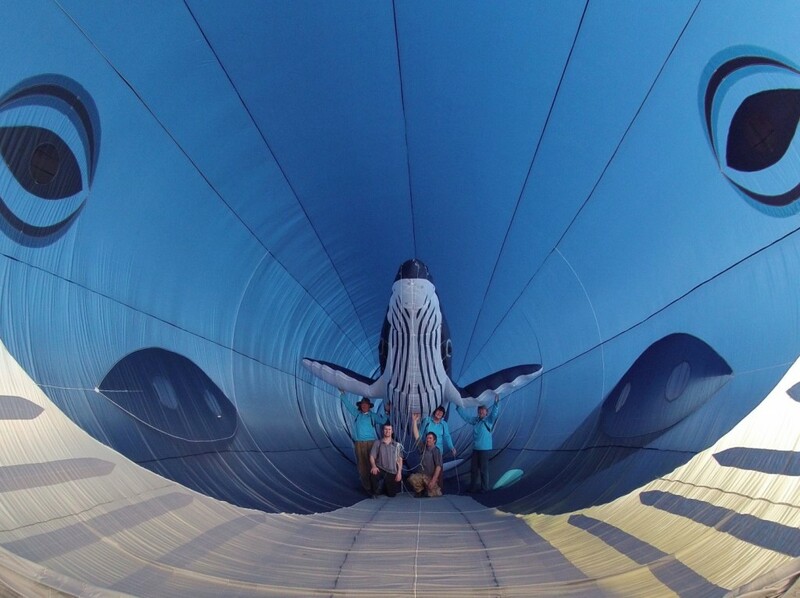 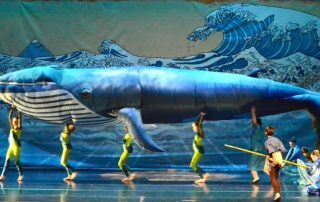 The Peter Line Kite crew inside the 30 meter long Blue Whale kite holding a 8 meter long Humpback whale kite. 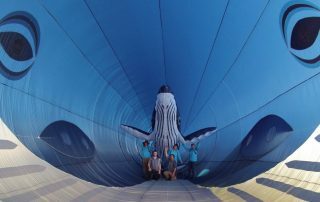 From left-Peter Lynn, Simon Chisnall, Gav Mulvay, Pam Shanahan and Elwyn Lynn. 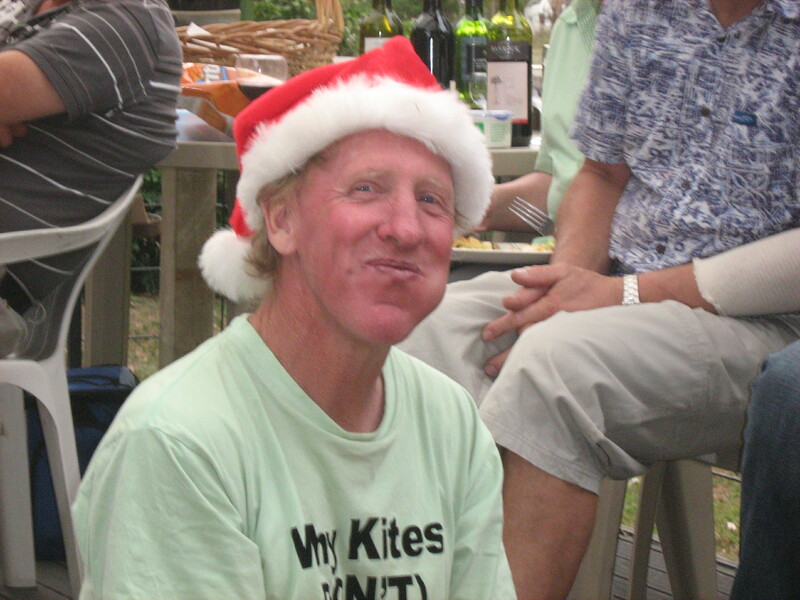 Absent from photo Craig Hansen and Jenny Cook.